I was the lead Designer/Art Director on this promo video for “Motif”, an Apple desktop Photos extension app. Motif allows you to easily create books, cards, and other physical printed products from your photo library. 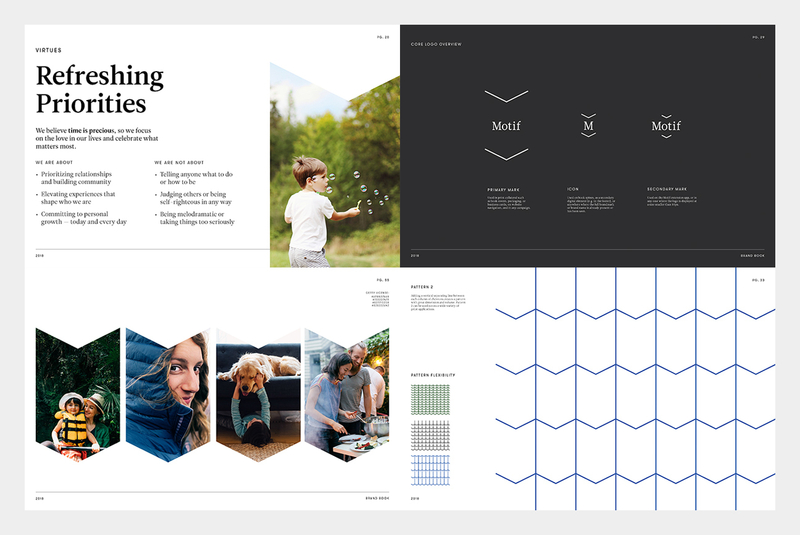 Motif became the go-to-market brand name of my “Snapshot” app moodboards. The purpose of the video was to showcase the app to stakeholders in order to get more funding. Using visual elements and tone of voice components culled from the brand guidelines (seen above), I crafted a concept and narrative for the video. With only two weeks to produce it, I developed a rough concept (seen below in the left column) around the difficulty of starting a book from thousands of photos in order to “make meaningful moments magical, again”. Additional photo / video sourcing led to visual refinement for pre-production work with a Video Designer and voice talent. This is great! And just what the client needed to get more funding!